Devialet is a French company created in 2007 from the encounter of 3 complementary and explosive expertise: Pierre-Emmanuel Calmel, an engineer, Quentin Sannié, a visionary entrepreneur and Emmanuel Nardin, a designer of excellency. Devialet origin: an invention which revolutionizes sound processing. The ADH Intelligence. the first hybrid technology that associates the preciseness of Analog amplification (Class A) to the power of Digital amplification (Class D) allowing Devialet products to reach a never heard before sound quality. Invented and made in France,, protected by 88 patents, Phantom forever changes the world of sound. THE BEST SOUND IN THE WORLD WIRELESS. Phantom plays your music via Wi-Fi. With Phantom wirelessly play all the music saved on your computer, smartphone or tablet. Fan of Star Wars ? You can also watch your favorite movies with Phantom ! The best movie theater is now in your own home. Fancy a multi-room system? 2, 3, 4 ... up to 24 Phantom an be synchronized with Dialog. Phantom emits an ultra-dense sound with physical impact, with no background noise, no saturation, no distortion all the way up to 3000 Watts. Invented by Devialet, ADH Intelligence is a technology that has succeeded for the first time in combining the sophistication of the Analog amplification (Class A) and the power and compactness of the Digital amplification (Class D). This technology, also included in Devialet’s Expert products, amplifies the sound signal with utmost clarity and transparency. Developed for Phantom, HBI® is the only system in the world that allows for extremly low frequencies to be emitted from such a compact space . Absolutely revolutionary, Phantom is built around two hermetic woofers that function under high pressure. The powerful beats of the lateral domes produce a unique ultra-dense sound with physical impact. The ACE® Loudspeaker technology (Active Cospherical Engine) designates the spherical conception of Phantom, inspired by the thrusting sphere of Olson, the perfect acoustical shape. It is the ideal shape to reproduce sound and spread it's linear energy in all directions. Phantom has the perfect acoustic architecture for an omnidirectional emission with a homogeneous sound no matter the listening angle and without any sound diffraction at the surface of the speaker. Phantom's ultra dense sound creates intense emotional experiences. Uncover the richness of songs you have heard a thousand times in all their amplitude, from sub bass at 16hz to ultra sharp sound at 25kHz with no background noise, no saturation, no distortion, all that up to 3000 Watts and 105 Decibels of power. Devialet Expert is the ultimate audiophile system, for the most discerning of music lovers. Well above and beyond an ordinary amplifier, Devialet reinvents and combines for the first time all of the key components of expert playback (preamplifier, amplifier, DAC, streamer, phono stage) in a single and extremely thin slab. Your Devialet Expert is unlike any other: set each of the thousands of possible configurations for a unique musical experience. Regardless of the source. Regardless of the speakers. Devialet technologies reinvent each step of the musical signal chain for never before achieved levels of performance. Pure sound. Explosive dynamics. Absolute silence. Perfect audiophile playback, completely transparent. A rare emotional experience. ADH® analogue-digital hybrid amplification, SAM® system for real-time adaptation of the signal transmitted to the speakers, free, regular updates using the EVO® platform, HD audio stream (wired or wireless) via AIR®, DAC Magic Wire®, RAM® Phono stage... Devialet Expert is an engineering gem. 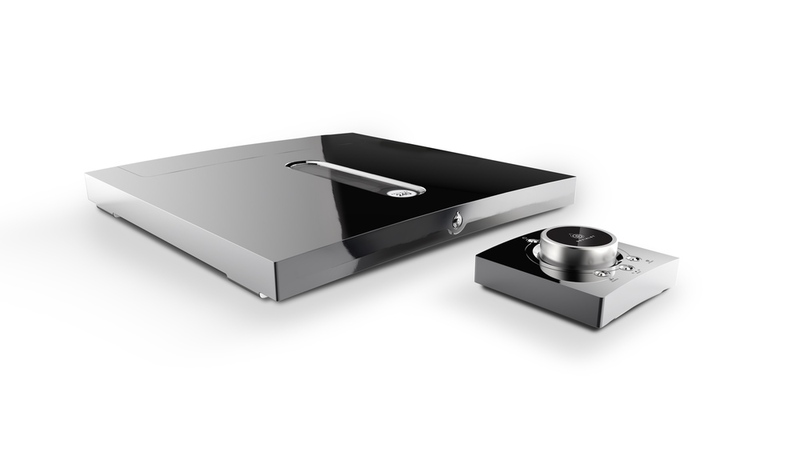 All Expert systems incorporate all of Devialet's audiophile technologies. 88 patents. 45 awards. The most award-winning audio system of all time. The Devialet 120 and the Devialet 200 are the two fully configurable Devialet stereo systems. They incorporate all Devialet audiophile technologies (ADH®, SAM®, AIR®, EVO®, DAC Magic Wire®). A dual mono Devialet configuration further pushes the envelope of the limits of acoustical engineering: distortion is divided by 4, connections are multiplied by 2, limitless possibilities for evolution, extreme power.